well-rounded students of scholarship, integrity and service. Memorable Moments at ECDS . 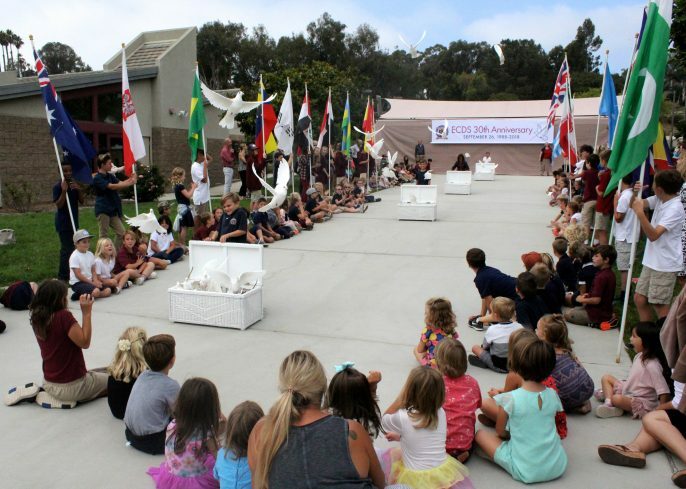 . .
Encinitas Country Day School celebrated its 30th Anniversary on September 26. 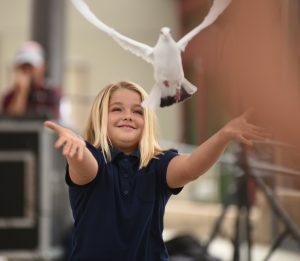 The amphitheater and promenade on the ECDS Pre-K through 8th grade campus served as center-stage for a school-wide celebration that included music, flags, prayers, reflections, and an amazing dove release ceremony! 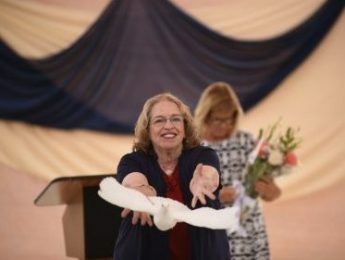 Friends, families, staff and students were on hand to honor the school’s 30-year legacy of developing well-rounded students of scholarship, integrity and service. You’re invited to join a daily tour at either of our beautiful campuses. Click on “Schedule A Tour” or call one of the school contact numbers listed below. 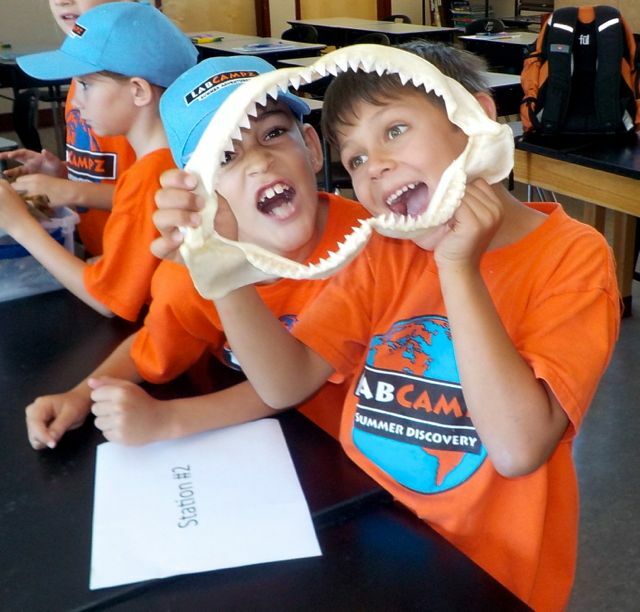 Enrollment is year-round, subject to availability.